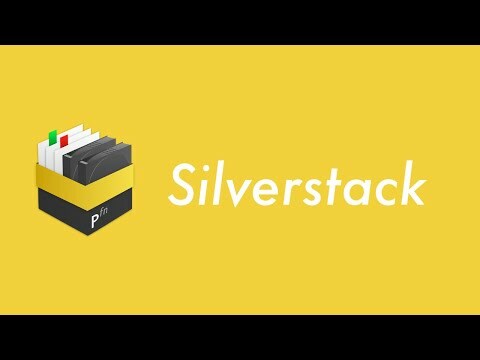 Silverstack is your tool for media acquisition and professional data management. Silverstack imports and handles any kind of camera and media format. Silverstack offers a flexible way of data handling by supporting any kind of file format - including sound files, photos, any camera media and all other production documents. Silverstack is the standard software for on-set data management in all kinds of professional film productions. A broad set of features including copying, playback, reporting and transcoding enables the user to backup, preview and prepare movie data right on the film set. As a central ingest and data management station Silverstack offers customized functionalities to export clips to DaVinci Resolve including ASC-CDL color metadata. Silverstack integrates with ScopeBox. 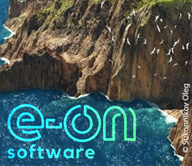 Add a variety of software emulations of classical video scopes like waveform and vectorscope to your setup. Silverstack covers all functionality for comprehensive on-set data management. Silverstack XT extends these features by additional formats, distributed workflows and specific post features. If your MacBook Pro is equipped with an ExpressCard/34-, CompactFlash- or SD card-slot, you can directly offload clips from any SxS, CompactFlash or SD card as they are used by following cameras: ARRI Alexa (SxS), RED and AJA Ki Pro (CompactFlash), Sony Sony F5 / F55, Canon EOS C300, Canon EOS DSLRs , Nikon DSLRs and GoPro (SD Card). Otherwise you need a suitable card reader. You can find a list of supported formats in the article Assets in Silverstack. All formats with no specific detection will be handled as generic files. Please see the article Generic File Formats for more information. For a realtime playback of your offloaded video files the usage of a fast hard drive as a SSD card is recommended. Project Settings Export and Import – Create your own default template and take your Silverstack setup with you to every new job or exchange it with your team. Audible Frame Stepping – Hear audio while stepping through a clip. 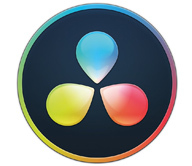 Improved Dailies and transfer functions: Transfer clip metadata to DaVinci Resolve (via CSV for Resolve 12.5 or later). Import/Export: Load and save ASC-CDLs, import 1D LUT files. Import: Import sealed library archives. Seal management: Get seal info, delete seals and re-seal drives. Improved Dailies and transfer functions: Transfer clip and color information to Assimilate Scratch (via ALE). Easy ingest: Easily add files to the library without copying. Divergent Media: Use ScopeBox to analyse the clip assets in your library. Typical grade controls: Choose from different grading modes and manipulate your grade interactively for each clip. Look Library: Store looks and manage color decisions for your entire project. Look integration: Grading panel support, look preview, look metadata in reports, and transcoding of clips with custom looks. Look import from LiveGrade Pro: Export single or multiple looks from LiveGrade and import them into Silverstack. Look matching: Automatically match look metadata from LiveGrade to source clips in Silverstack. Improved Dailies and transfer functions: Transfer clip and color information to Dailies and NLE tools like DaVinci Resolve or Avid Media Composer. HD-SDI output: Review your clips in full quality. Frame lines: Check your framing in the media player, and enable frame lines for the HD-SDI output. A detailed list of all changes can be found in the Silverstack 5 changelog. What's new in version 4.3 ? Audio playback: Enables playback of embedded audio from source video clips for Alexa ProRes, Amira ProRes, Canon C300, H.264 from DSLRs (Canon EOS 5D Mark II) and Sony F55 XAVC. Practical audio functions: Functions include metering, channel mixers and persistent channel mapping. Transcoding options: Flexible transcoding options for clips with audio. Looks from files: Conveniently apply looks from files for an integrated workflow. Preset LUTs: Provides accurate look control with preset LUTs for "Log" footage. Custom looks: Manage custom looks and apply them easily. Preset settings for ingest: Define format-specific default look settings for ingest. Improved Offload Wizard: All offload steps are now combined in one window – offers improved overview and less clicks. Offload Wizard Templates (XT only): Store offload settings and destination paths in templates, and recall them easily. Phantom file support (XT only): Metadata extraction, thumbnails, and playback of Phantom files. More improvements and fixes: More than 30 additional improvements and fixes for data management, metadata, reports and various formats. What's new in version 4.1 ? AVC-Intra: Advanced camera support for Panasonic Varicam 35 up to 4K resolution. XAVC S: Advanced camera support for Sony a7S in Full HD. 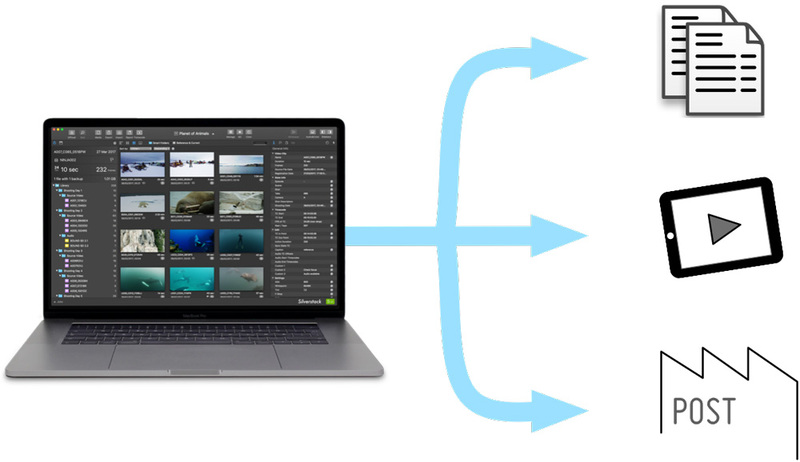 Silverstack 4 is a major update with focus on improved data management capabilities and now enables more integrated workflows from set to post. Sony F55 / F65 RAW and ProRes XQ support: Enables playback, metadata extraction, thumbnail creation, and transcoding. Accelerated backup processes to LTO tapes via LTFS: Speeds up the copy and checksum verification process to LTO tapes. “Cascading copy” for faster processing cycles of media: Makes copy tasks more efficient by first copying to fast destinations and from there in a second run to slower drives. Set and Set-to-Post workflows with multiple Silverstack libraries: Imports and merges different libraries from several workstations into one master project. Lots of further new features: Comes with still image export, a new report type with larger thumbnails, and file verification tailored to Set-to-Post workflows. Best performance with large libraries: Allows optimized handling of large projects with tens of thousands of clips. Improved job control: Provides better overview of running and finished jobs, simplifies job abortion and error handling. Updated user interface: Makes the important tasks easier to perform. What's new in version 3.4 ? Advanced support for ARRI Amira, Alexa and Amira Looks, and minor improvements. Advanced ARRI Amira support: Offload, Playback, and Transcode ProRes Clips from the ARRI Amira. Looks set in the camera are automatically applied. Alexa Looks: Applying Alexa Looks to ProRes Alexa clips shot with look enabled. "Unread" jobs: Mark unread jobs automatically as read after entering the jobs view. Improved license migrtion: Added "recent licenses" button to license manager that shows recently used licenses. Reveal in Finder: Adding a reveal in finder button to the file info view. Silverstack 3.4 is a free update for all existing customers of Silverstack v3. 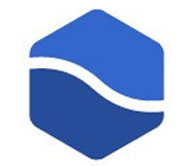 Pomfort today announced the immediate availability of Silverstack 3.3. The update includes real- time playback and metadata support of ARRI AlexaTM RAW sequences and comes with a brand new “First Look Transcoding” functionality that enables the efficient conversion of e.g. 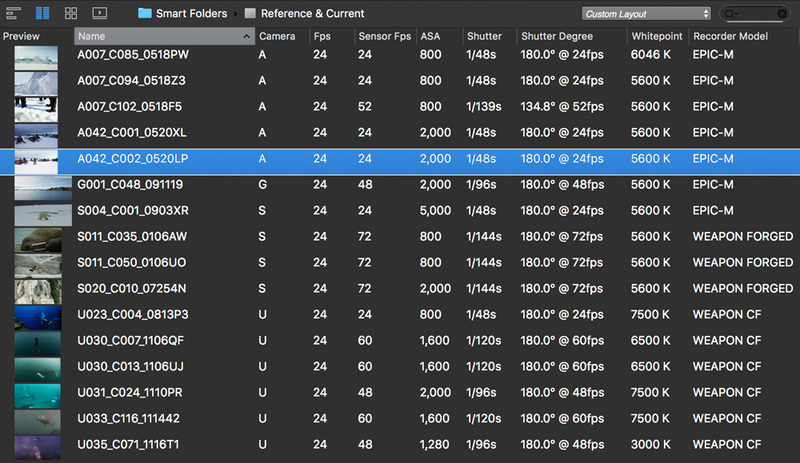 RAW sequences or other professional camera formats into QuickTime ProRes and H.264. Furthermore, the new update adds the highly requested support for playback and metadata for CinemaDNG RAW sequences. Over 50 new features in Version 3! Search Clip search by name, metadata, user info, etc. The library metadata exchange feature lets Silverstack XT users transfer and merge metadata between multiple computers. Learn how in this tutorial.